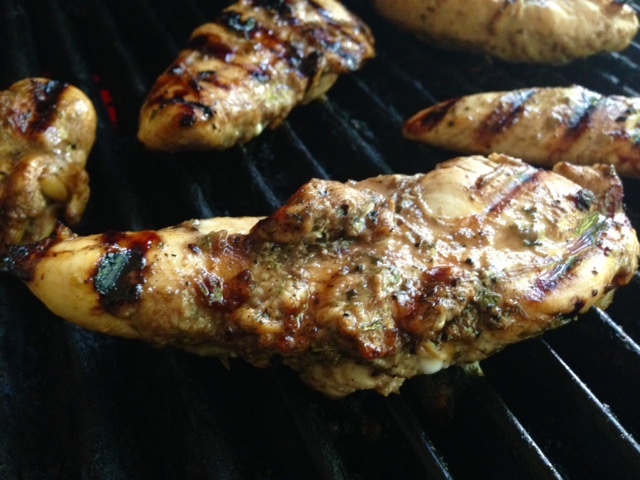 You just can’t go wrong with a well-grilled marinated chicken breast. It is endlessly versatile—eat it fresh off the grill, re-heat with some veggies, throw it in a stir fry, make chicken salad. 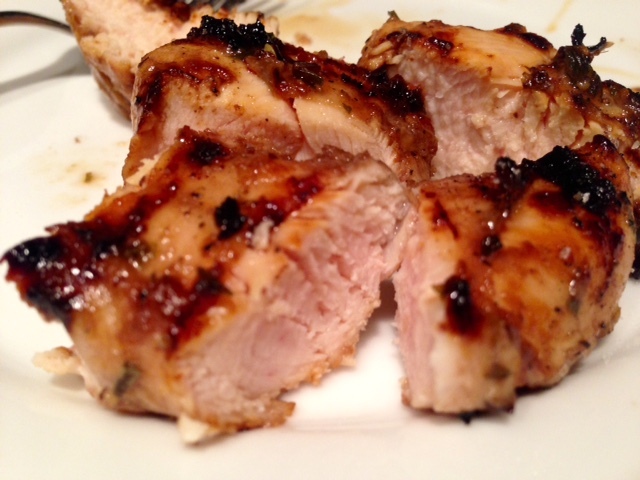 This marinade is one of perfect simplicity…the balsamic vinegar helps slightly break down the meat, allowing the spices and garlic to really soak in, and the honey to make it super moist. But none of it overwhelms. 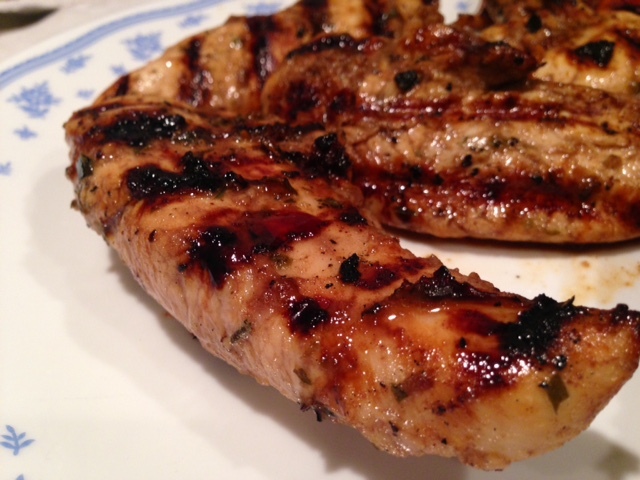 These suckers are so juicy and flavorful, but can go with just about anything! In a large ziploc bag or container, pour the balsamic vinegar, olive oil, garlic, honey, and rosemary, plus a generous pinch of kosher salt and fresh black pepper. 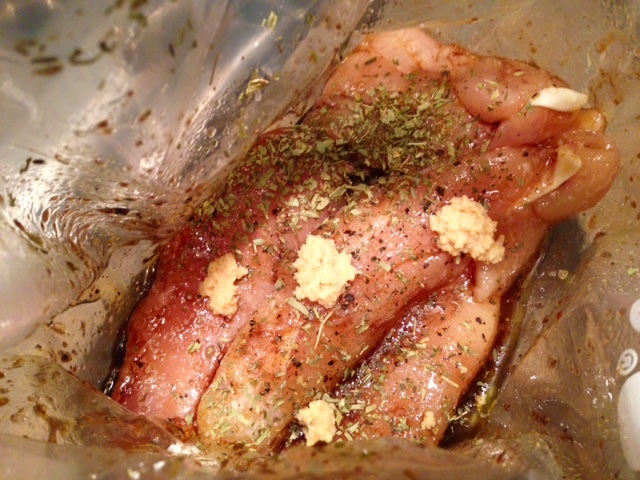 Add the chicken breasts and refrigerate for 1-2 hours to let them marinade. 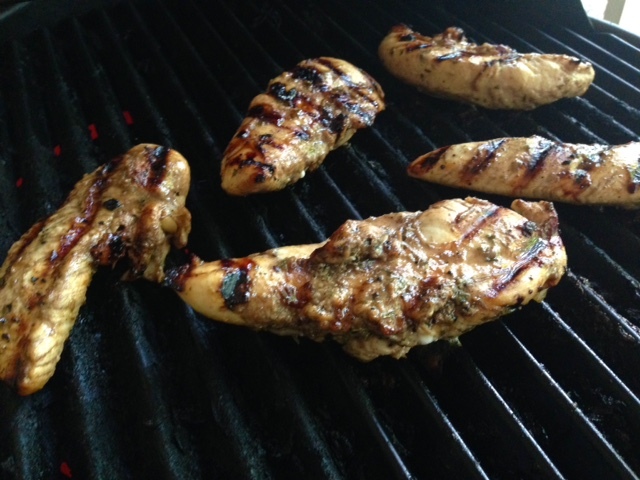 Preheat the grill to medium-high or high. Cook the chicken for 4-6 minutes on each side, then continue turning until the chicken is cooked though, about 10 minutes but it will depend on how thick your chicken breasts are. 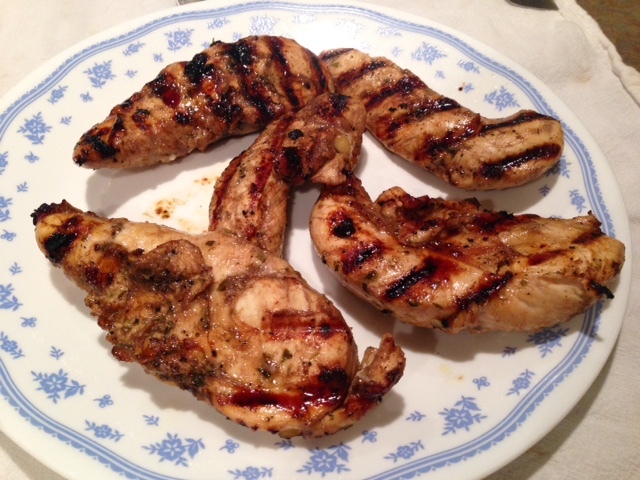 Remove from the grill and let sit for a few minutes before serving. In a large ziploc bag or container, add the balsamic vinegar, olive oil, garlic, honey, and rosemary, plus a generous pinch of kosher salt and freshly ground black pepper. Add the chicken breast and refrigerate for 1-2 hours. 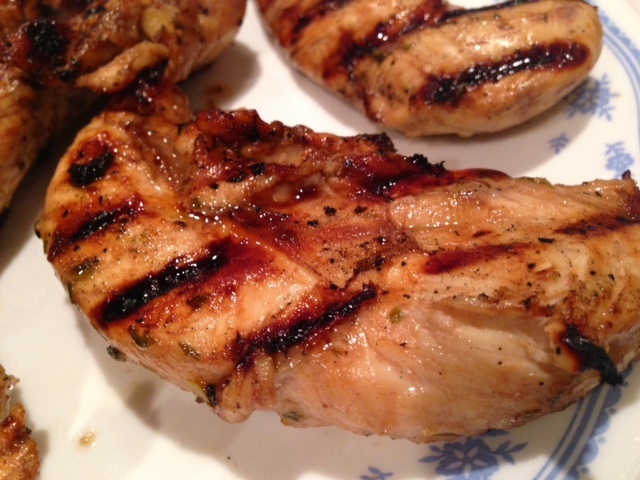 Preheat the grill to medium-high or high. Cook the chicken for 4-6 minutes on each side, then continue turning until the chicken is cooked though, about 10 minutes or until chicken is opaque and juices run clear.